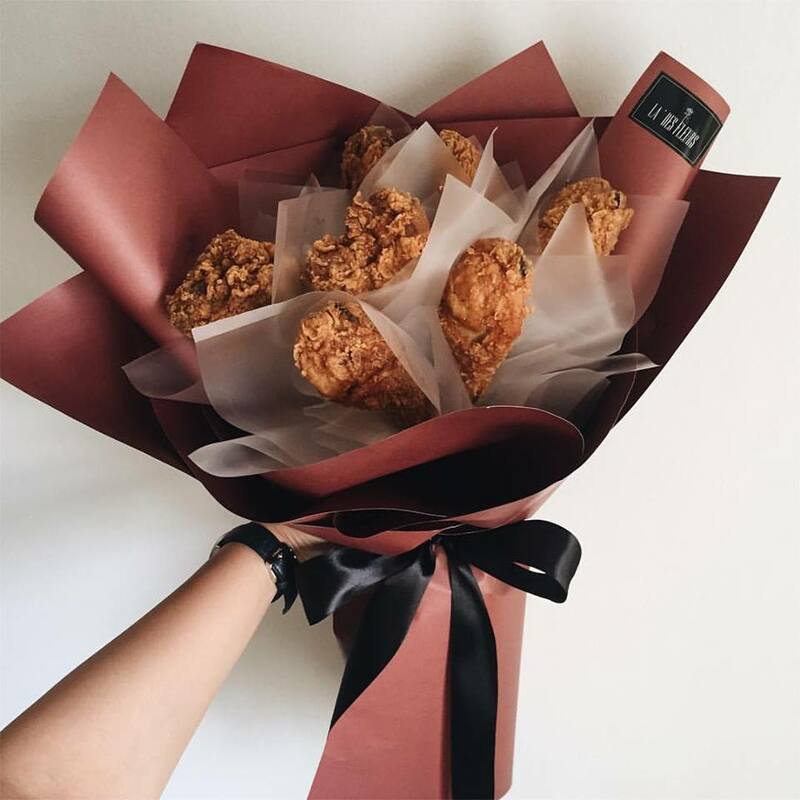 Because fried chicken > flowers. 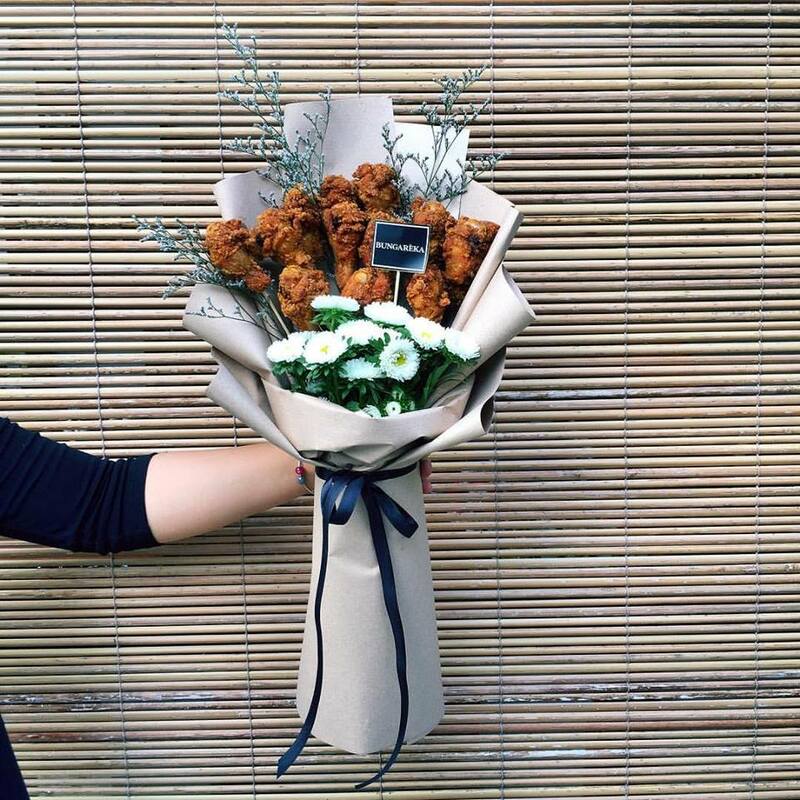 Does the thought of fried chicken make your special someone smile? 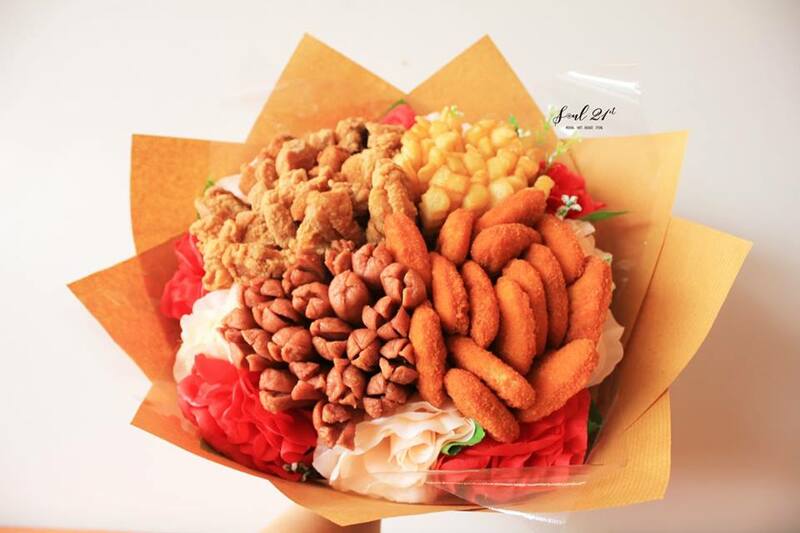 Whether you like your fried chicken from A&W, Texas, or even Kyo Chon, this quirky bouquet boutique's got your back! 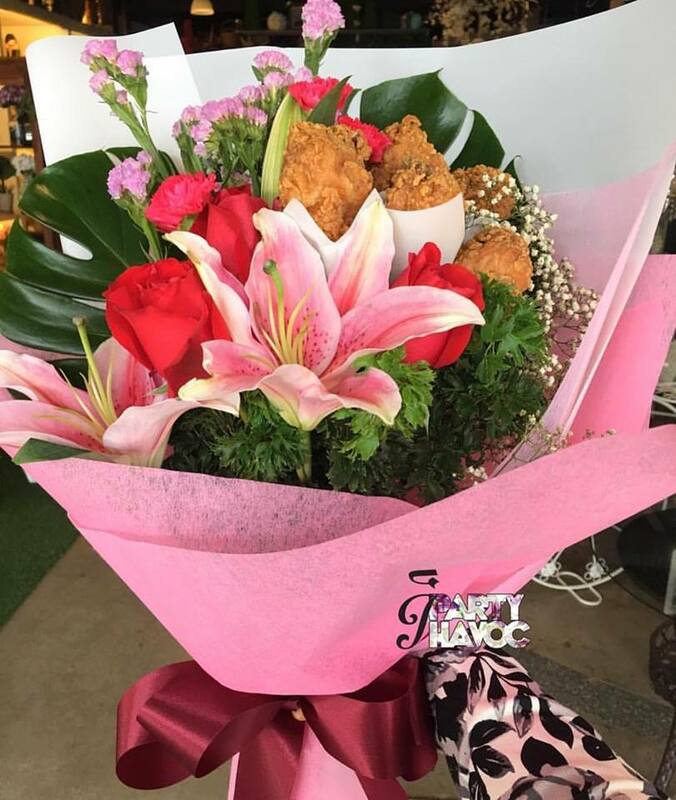 This boutique ups the ante with its beer-and-chicken combo! 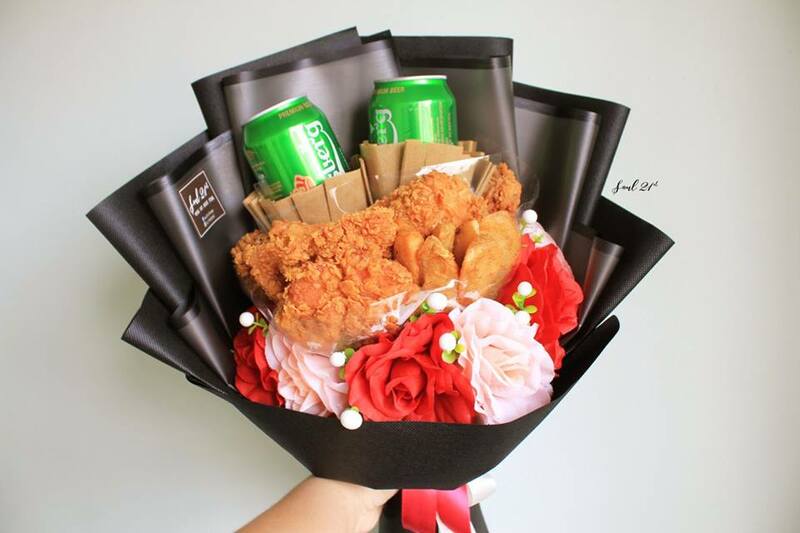 You can also opt for the the next-level bouquet stuffed with fried chicken, nuggets, sausages, and fries. 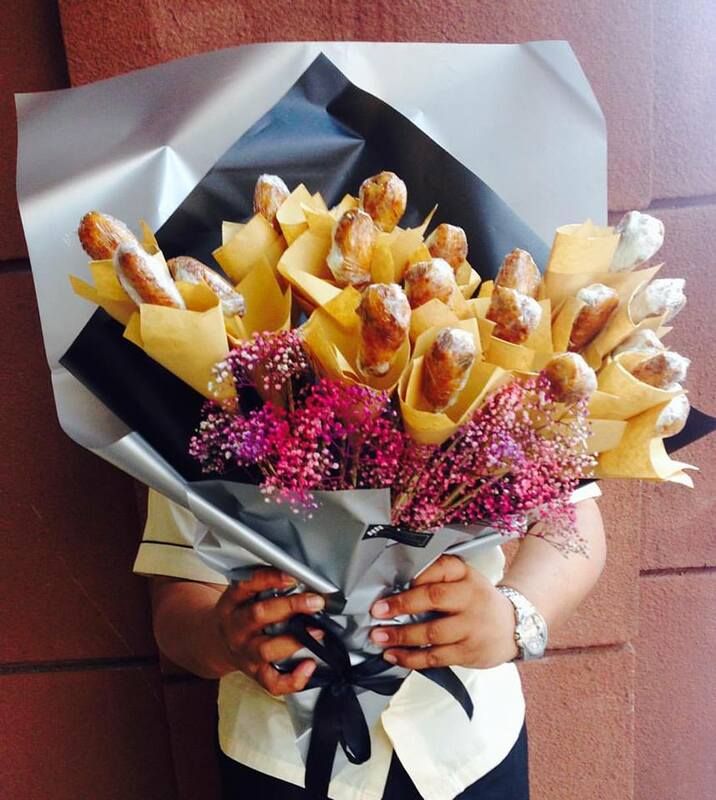 Chicken drumstick bouquets FTW! 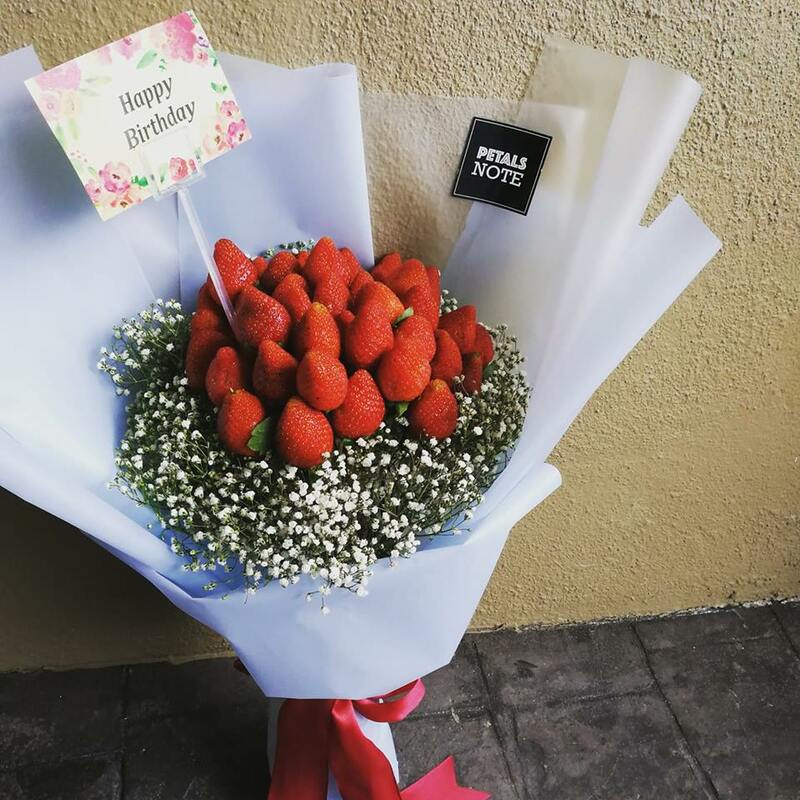 For a sweeter option, check out their pretty strawberry bouquet. 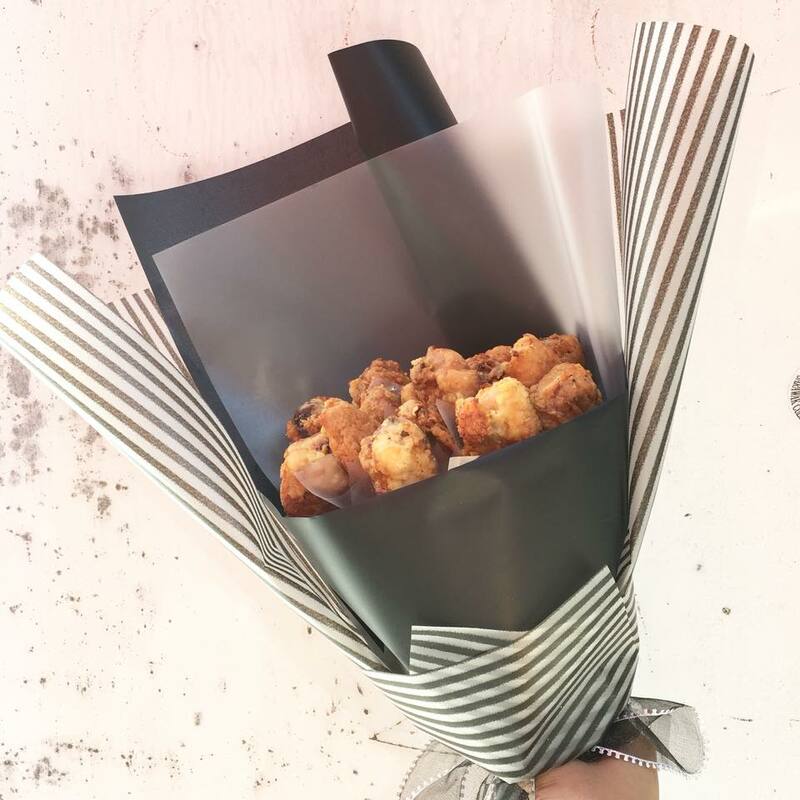 Bungareka keeps their chicken bouquets chic and rustic. 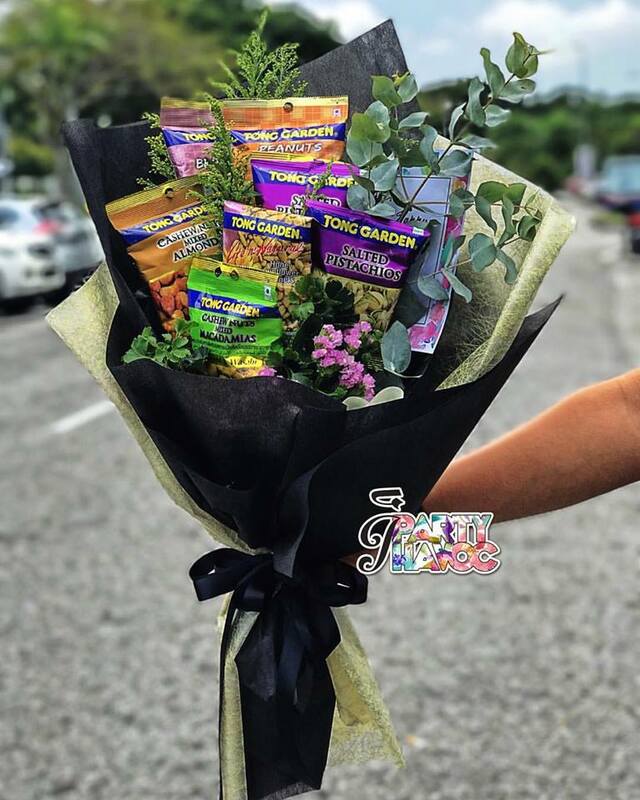 Stick with the classic chicken bouquet or go all out with the chicken and fresh veges set! 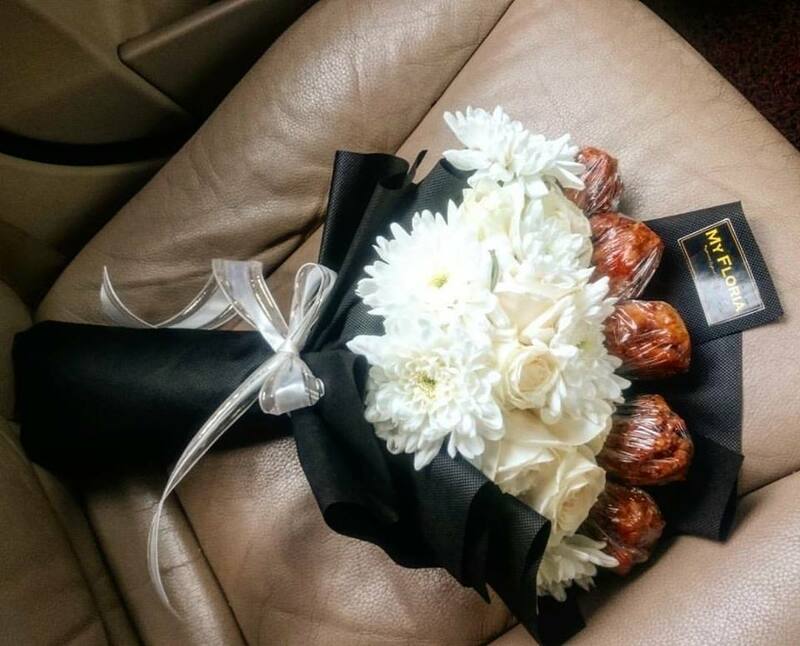 The skilled hands at La' Des Fleurs manage to turn even fried chicken into something completely elegant! 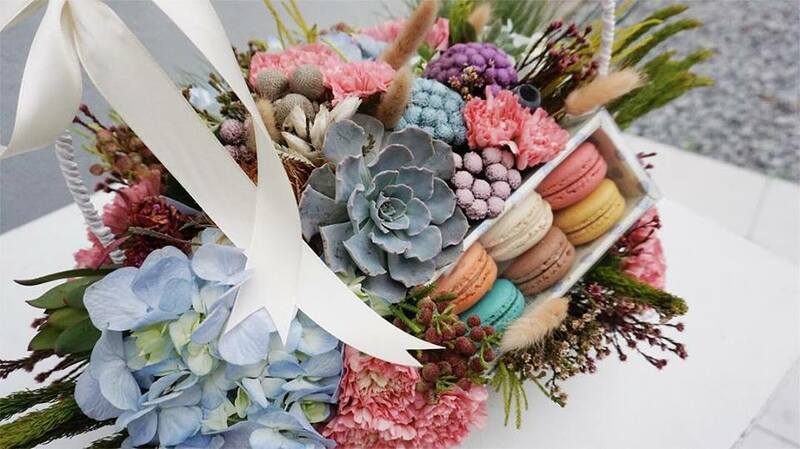 For something a little more traditional, check out their macaron sets. 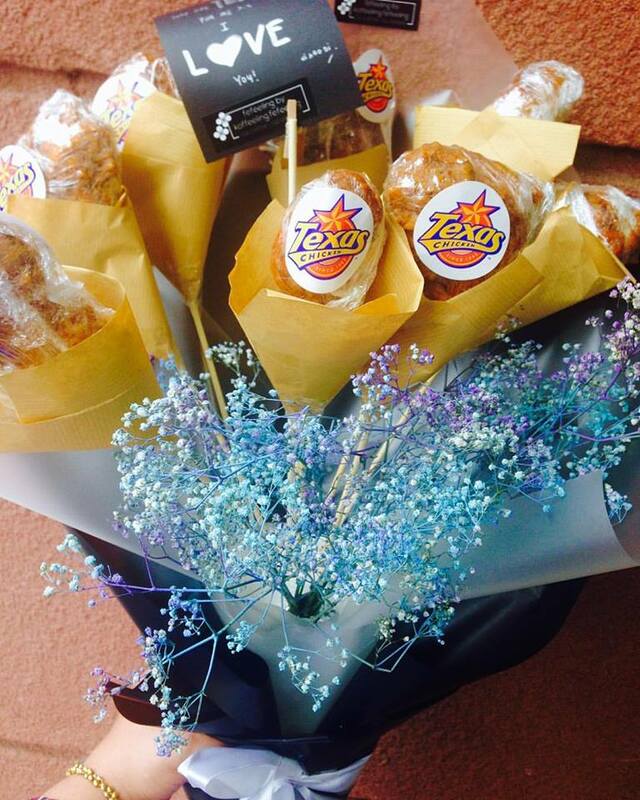 Specialising in edible bouquets, options here include fried chicken, mixed nuts, candies, and more. 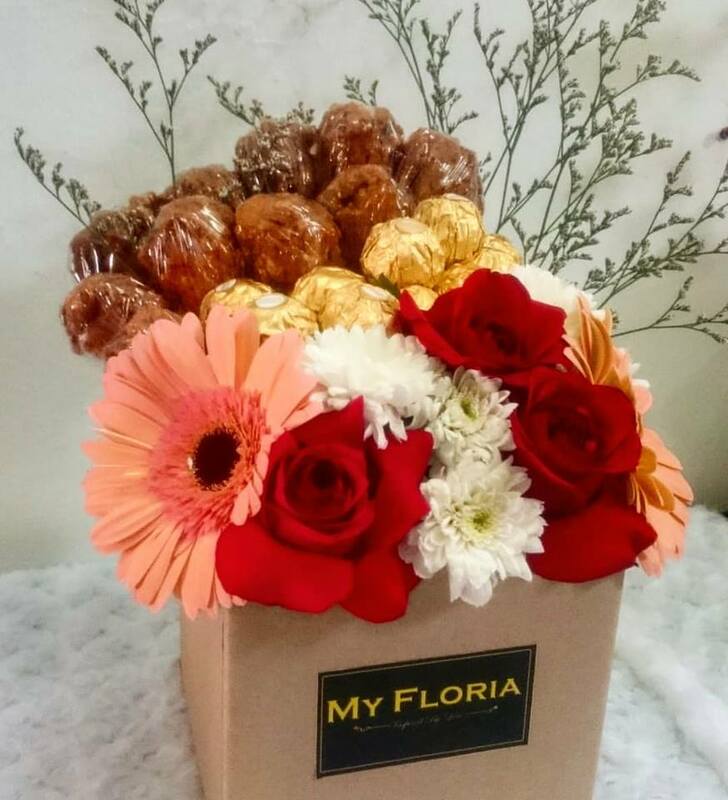 My Floria offers a range of chicken bouquets to suit your budget, from the simple hand bouquet to the extravagant chocolate-and-chicken gift set. 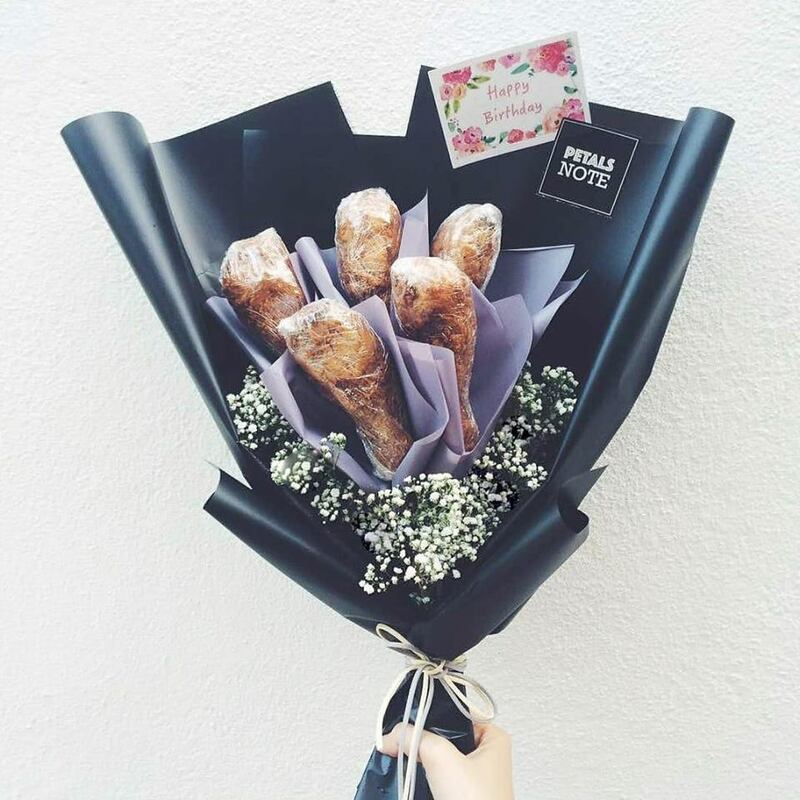 Bouquet x Anna keeps their design simple yet classy, keeping the focus on the mouth-watering golden fried chicken. 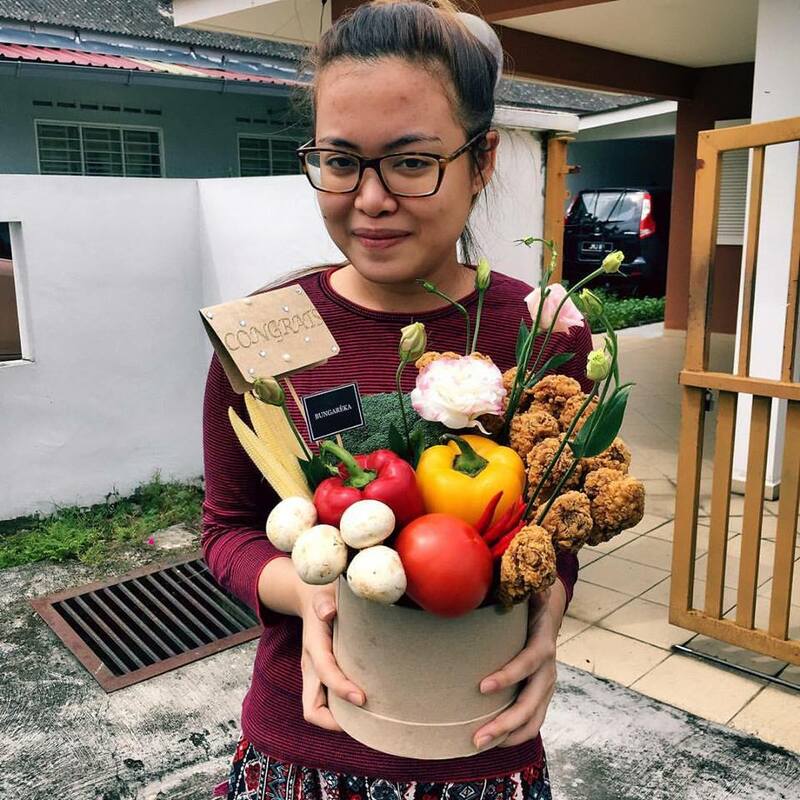 Julie thrives on P. Ramlee films, beautifully-woven words, and desserts involving coconut. 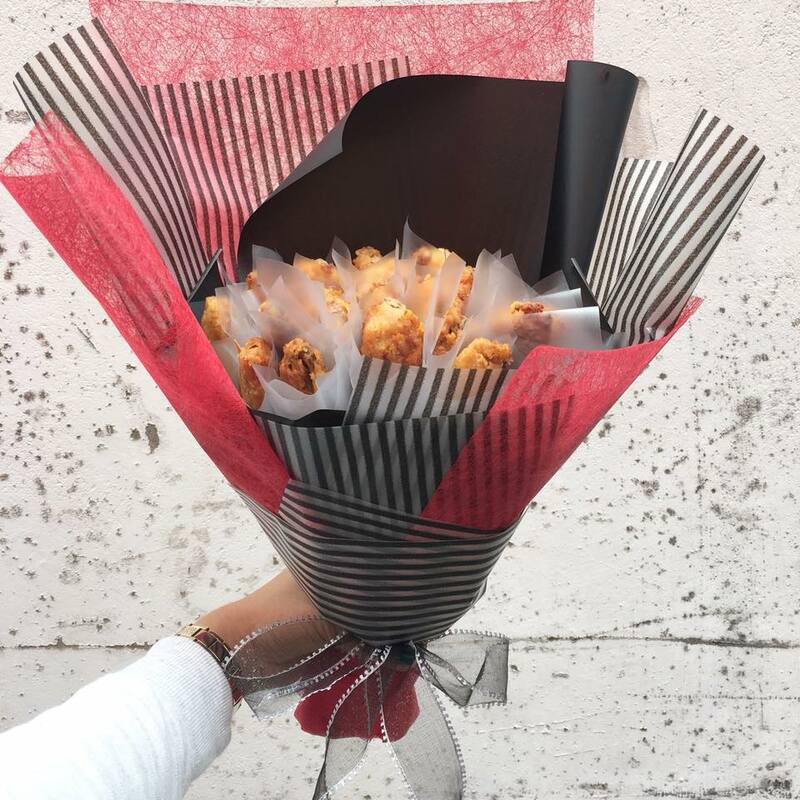 She believes life is best viewed from an airplane window.